These soft, moist, and salty Pressure Cooker Boiled Peanuts make a delicious snack any time of the day or year. Super easy to prepare. Boiled Peanuts are one of my favorite snacks. It was a treat I look forward to when my parents took my brothers and I to the cinema. Yes, we had warm, soft, moist, and salty Boiled Peanuts from the Ah Pek who sold it a ton of it in a huge pot mounted on his tricycle. Those were the good ‘ol days when one could buy snacks from outside of the cinema. 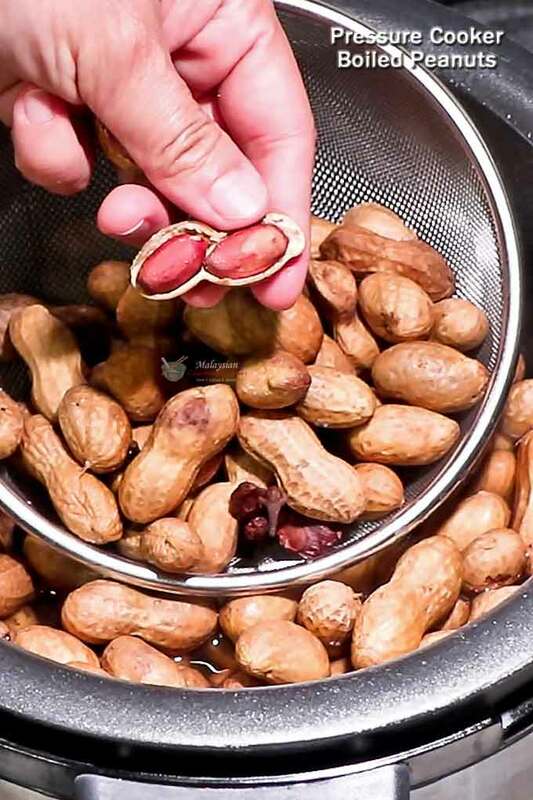 Back then, people seldom prepared it at home because Boiled Peanuts took a long time to cook. Besides, they were easily available and rather inexpensive. Much more convenient to just buy and eat instead of waiting several hours for it to cook. As such, Boiled Peanuts are the perfect thing to cook in a pressure cooker. Since they are encased in a tough shell, they do not fall apart even if you over cook them. In fact, most people tend to under cook them because they under estimate how tough the shells really are. Soaking them overnight is a good idea but you can still cook them if you forgot that step. It just takes a little longer. There is almost nothing a pressure cooker cannot handle. If you like your Boiled Peanuts really soft, I suggest that you set the timer for 90 minutes. Otherwise 75 minutes will do the trick. Weighing down the peanuts in the pot with a heat proof dish is a good idea if there is room in there for it. 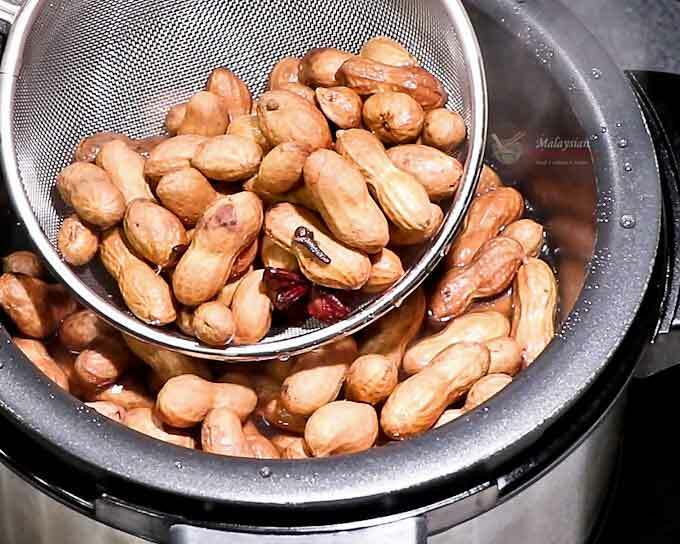 These soft, moist, and salty Pressure Cooker Boiled Peanuts take only 75 minutes to cook. They make a delicious snack any time of the day or year. Wash raw peanuts 4 to 5 times to get rid of dirt. Drain. Transfer washed peanuts to the pressure cooker insert. Fill with sufficient water to cover peanuts. Add cinnamon stick, star anise, and cloves. Stir in kosher salt. Lock on the lid. Make sure the valve is set to pressure. Cook on high for 75 to 90 minutes. 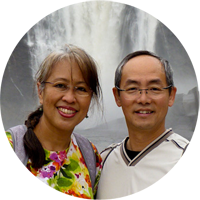 When done allow pressure to release naturally. 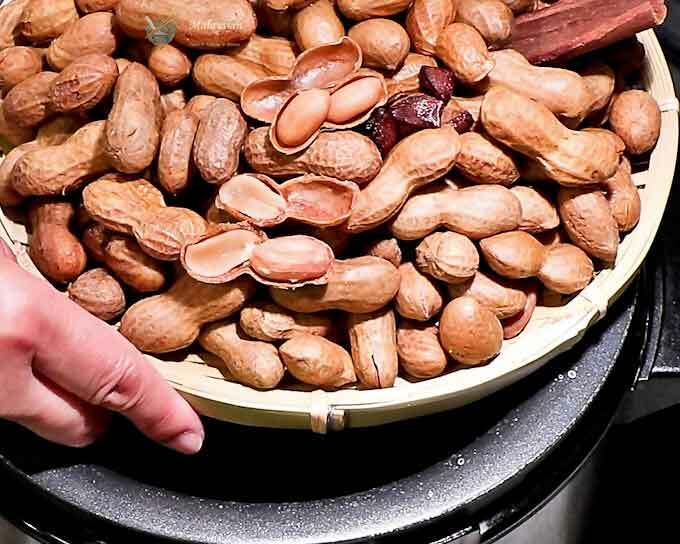 Carefully open the lid and remove peanuts with a metal strainer. You have no more excuses not to cook this easy and tasty snack in your kitchen with the time being quartered using a pressure cooker. I hope you’ll give it a try very soon. Would Five Spice seasoning work as well as cinnamon and cloves?